Married, dating, or single, knowing your love language and the love languages of others can be invaluable. With Valentine's Day coming up, it's important to show those in your life they are loved, but it's even better to know how to love them in accordance to their love language. Using the 5 Love Languages (Words of Affirmation, Physical Touch, Receiving Gifts, Quality Time, and Acts of Service) as a guide, here's some tips on how to appreciate your loved ones this Valentine's Day. If you're unsure of what you or your loved one's love language is, click here to discover your top love language, or send the link to your loved one to discover theirs. Words have power, especially for individuals whose top love language is hearing affirming truths from those they hold dear. If your loved one is powered by words, then give the gift of a handwritten card expressing how important, appreciated, and loved they are to you. 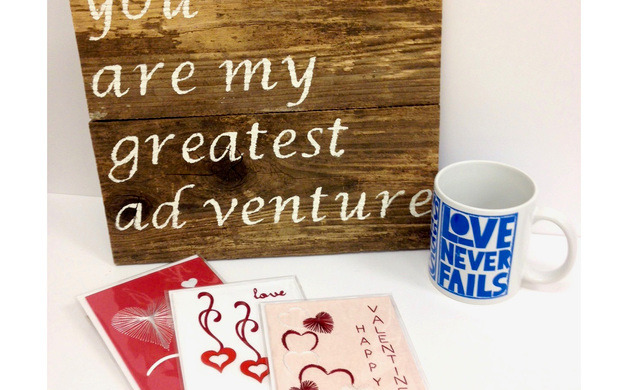 If your writing skills are a little rusty, gift a framed poem, printed mug, or wood sign that perfectly phrases those hard-to-express feelings. Those who value Physical Touch value intimacy expressed through cuddling, hugs, holding hands and any other form of physical affection. 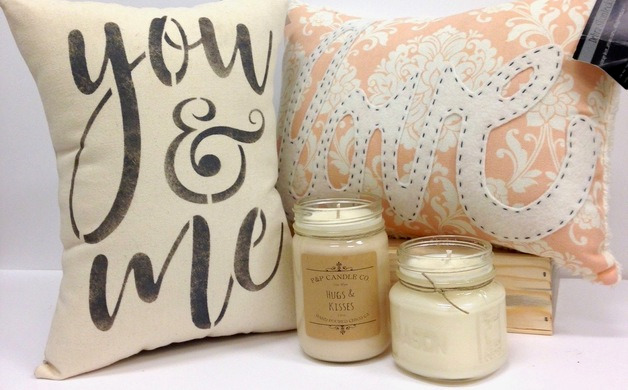 Plan a 'night in' for the evening, set the mood with your favorite scent of P&P Candle Co. Soy Candle, some plush Debra Skoniecki pillows, a romantic flick, and snuggle away. Thoughtful gifts and gestures are a simple way to speak love to those who value receiving. Gifts are precious to them, but not just any gift will do. These individuals cherish the sentiment attached to the gift given. The key to giving something meaningful is simple: be thoughtful. 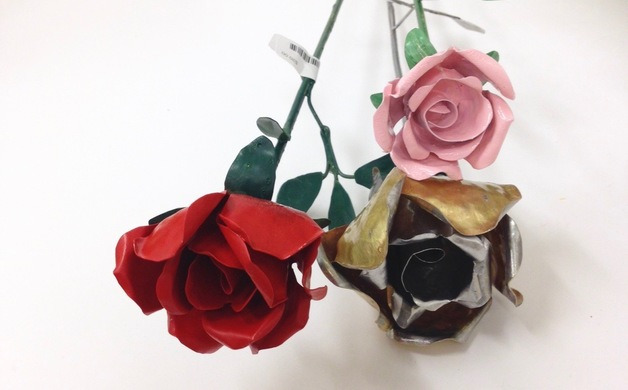 Maybe instead of gifting an ordinary red rose this Valentine's Day, gift a beautifully painted metal rose that will last for years to come. Overall, as long as there's intentional thought behind the gift, those whose love language is Receiving Gifts will not only appreciate your efforts, but feel truly valued. No matter what the activity, or inactivity, those with Quality Time as their top love language simply want to be with you. Having your full, undivided attention is priceless, whether it's over lunch, an evening walk, or gazing up at the night sky, as long as you're the one sharing the moment with them, they feel loved. If spending quality time with a loved one is more a hindrance for you than a strength, purchase a Wild Ink Press 'A Joie De Vivre' pocket journal as a gift. 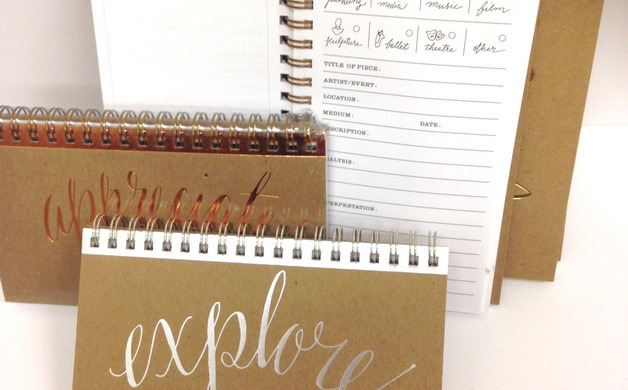 Take a day each week to do one of the suggested activities with your loved one and fill out the journal together. This will help you stay better present and engaged in the moment, making your partner feel important, blessed, and appreciated. Helping with chores, assisting with work projects, or cooking dinner are ways to communicate love to those who value Acts of Service. These individuals want to know they can count on you and that you care enough to give them a hand. 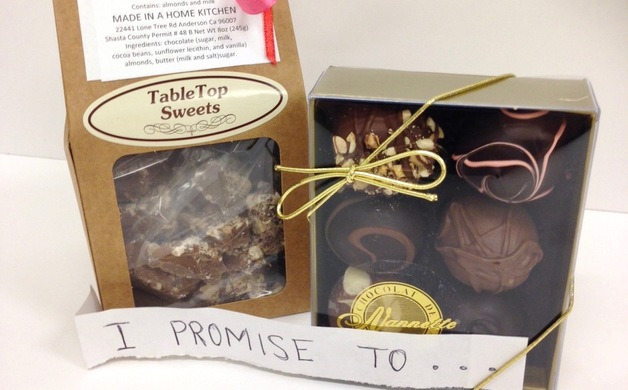 Make a winning gesture this Valentine's by gifting an assortment of Nannette's chocolate, or TableTop Sweets Almond Toffee, along with a written promise (or promises) to do or help with whatever task(s) your loved one desires. All products mentioned and pictured above are available at Enjoy the Store, 1475 Placer St, Redding, CA 96001.